Cherry Art Editions are here!! Home Featured Cherry Art Editions are here!! My website is finally being re-worked, so that I can update it regularly, by the fabulous Kate Snow Cocuzza! In the meantime, I thought I would give this blog thing a shot. 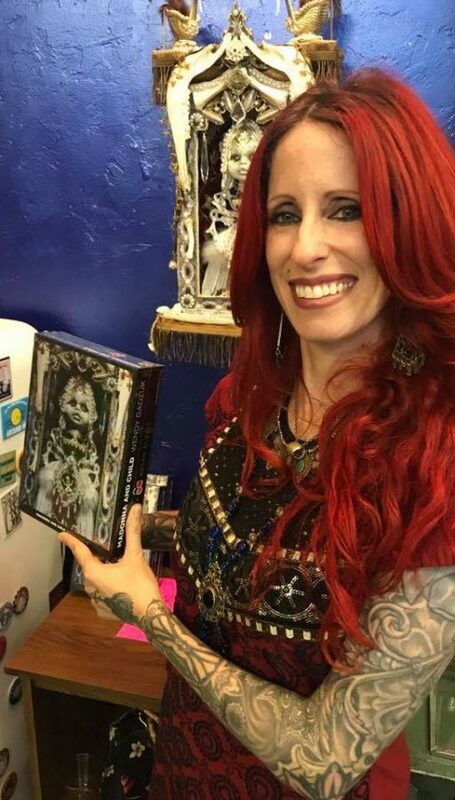 The photo below was taken at the recent opening for 5 new Cherry Art Editions sets, including a jigsaw puzzle of my assemblage piece “Madonna and Child,” (photographed by Mike Rosati) in Tucson at Yikes Toys. 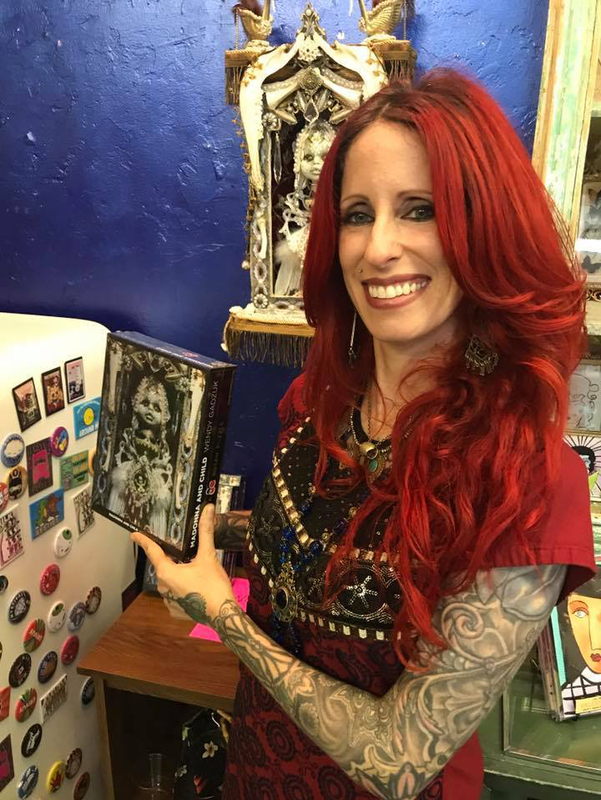 All Cherry Art Editions are limited edition, signed and numbered sets and are available exclusively at Yikes Toys in Tucson, the Museum of Contemporary Art Tucson gift shop, and through the Cherry Art Editions website, which is the brainchild of Elizabeth Cherry. I’m pretty excited about it…a 500 piece puzzle that is 18″ x 24″ when assembled (I’m working on it!) The original piece is currently available at Yikes Toys. Amidst the glow of the waning moon and the howl of coyotes here in this Mojave Desert canyon, I’ve been getting ready for a show which opens on August 12 at La Matadora Gallery in Joshua Tree. I’m showing with my dear friend Kate McCabe, filmmaker, photographer, painter, and all-around awesome human, who I went to art school with back in Philly many, many moons ago! Details on the opening to come. Magic will be involved!